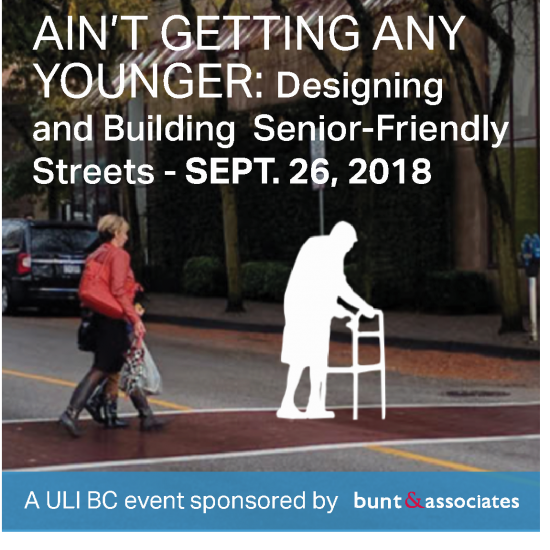 Join us for a morning conversation and walking tour to discuss the City of New Westminster’s recent experience with senior-focused infrastructure planning with Great Streets for Seniors: Uptown Neighborhood initiative. It’s no secret that our streets fail to address the mobility challenges faced by seniors. Pedestrian crossings, sidewalks, lighting, markings, and signage on every corner are designed for the agile and confident – not our most vulnerable road users. The social problems with limiting senior mobility are obvious, but how do we address them? What does it mean to design streets for seniors? How does this happen?